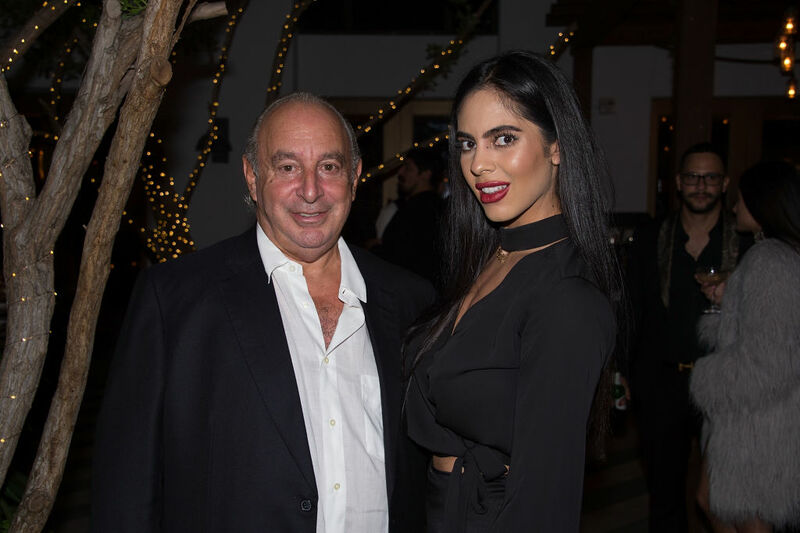 Sir Phillip Green is a British retail tycoon and the man behind the popular Topshop brand and store. He is the chairman of Arcadia Group which owns Topshop, Topman, Miss Selfridge, Burton, Wallis, Evans, Dorothy Perkins, and Outfit. He is also at the center of the U.K.'s #MeToo movement with allegations of sexual misconduct and inappropriateness stacking up against him. He has been accused of sexual harassment, bullying, and racism. He filed an injunction in an attempt to stop the details of these allegations from going public. Unfortunately for him, the court rejected his filing and details of the charges against him have been made public. Green is accused of describing an African American employee as "throwing spears in the jungle." He reportedly also pulled another woman into a headlock and smashed an employee's cell phone. A number of women who work for Green said that he made them kiss him on the cheek as they passed him in the office and also gave them lingering hugs. Another female executive alleges that she was forced to walk around the office holding his hand. Green is also accused of calling women "sweetheart," "darling," or "love" instead of their names as well as publicly telling some female employees they were overweight. He allegedly crept up behind women in hallways and touched staff inappropriately. The 67-year-old billionaire also allegedly walked into a meeting and asked if there were any "naughty girls" that "needed their bottoms slapped." Nancy Dell'Olio is an attorney and former reality TV star who appeared on Strictly Come Dancing and Celebrity Big Brother in the U.K. She told The Sun that Green once offered her $1.3 million to spend the night with him. Dell'Olio claims the indecent proposal occurred in 2010 at a London nightclub. She said: "Philip pawed at my wrist and told me, 'If you come with me now to my apartment, this night will be worth a million pounds.'" Dell'Olio was shocked and offended. She broke away and fled in a taxi. Green went to Canyon Ranch in Arizona to hide out from the claims of sexual harassment against him. Green has said that he "categorically and wholly denies" the allegations of unlawful or racist behavior."